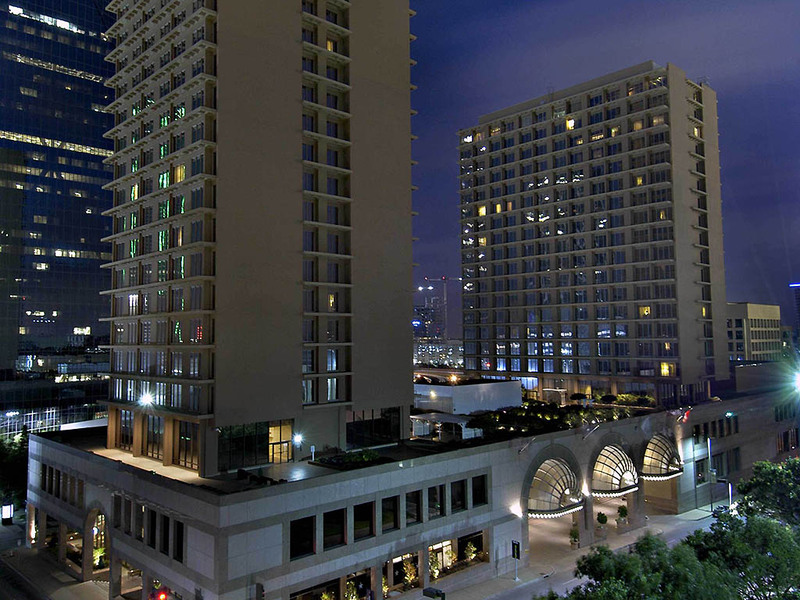 The Fairmont Dallas luxury hotel in Texas is ideally located in heart of downtown Dallas Arts District offering fine dining, shopping, arts, and entertainment, and combines hospitality and elegance with Texas flair. Accommodations include iHome iPod docking stations in deluxe rooms and suites. Newly renovated public areas and guestrooms- including 50 suites- provide for all the modern amenities you expect from a luxury property. Modern event space accommodates from 2 to 2000 guests. Our 545 renovated rooms and suite feature warm vibrant hues, modern amenities that today's savvy travelers have come to expect, like flat-screen TV's, wireless high-speed internet and pillow-top mattresses. The Pyramid Restaurant & Bar menus infuse classic dishes with modern twists while highlighting the wide range and variety of products available in the state of Texas. Enjoy a sumptuous snack with a refreshingly cool beverage while basking in the sun. With a variety of drinking and dining options, our poolside delivery service is sure to offer the answer to your culinary cravings. Experience a relaxing escape in the soothing ambience of the Pyramid Bar, where you'll find an extensive drink menu, including many of our signature cocktails, wines, ports, vodkas and rums. The Pyramid Bar offers a refined, refreshing experience. Starbucks at Fairmont Dallas is one of the largest in the city offering interior seating for 54, outdoor terrace seating for approximately 16 and a full line of Starbucks retail products for sale.